Founded in 1989, McKevitt Electrician Dublin have a big reputation in Dublin for high-quality and affordable electrical services. Over the years, we have gained the trust of our customers through offering them an outstanding team of electricians, who make sure that everything goes as planned. It’s for these reasons, that Dublin Electrician are the leading domestic electricians in Dublin. Dublin Electrician are available on Domestic, Commercial and Industrial premises. 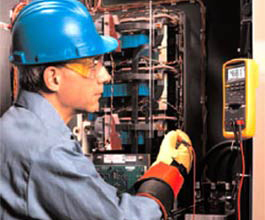 We offer: Full Maintenance & Repairs, Full House rewires, CCTV installations, and more. Whether you need simple light fittings, extractor fans or an electric heating system full service, we are at your service and will provide the best solution for you. Give Dublin Electrician a call at any time of the day, no matter what your electrical need is! Are you a Dublin Landlord who requires a reliable and trustworthy electrician on a 24 hours per day basis and covering all Dublin City and County? If so, we would like to discuss with you on how we can best meet your needs and provide you the best solution. We are aware of Landlords who have been overcharged by other electricians in Dublin, and often booked by tenants themselves for minor repair work. By setting up an agreement with Dublin Electrician your tenants will know who to call in an emergency. You will then be satisfied that your property is fixed as best as possible, with a great care and professional touch from our experts! We also give full written receipts for all work carried out. At Dublin Electrician we are on call for 7 days a week and 52 weeks a year. Our clients range from contract work with multinational corporations to domestic call outs for minor repairs. 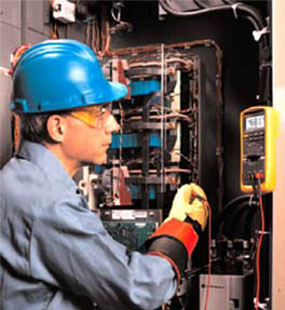 With a trusted and reliable team of qualified electricians, both domestic and commercial experts, we are capable of handling any contract or emergency. All work will be certified upon completion so that you may know you have received the highest standards in quality and safety! Including: South Dublin and North Dublin and postcodes Dublin 1, Dublin 2, Dublin 3, Dublin 4, Dublin 5, Dublin 6, Dublin 7, Dublin 8, Dublin 9, Dublin 10, Dublin 11, Dublin 12, Dublin 13, Dublin 14, Dublin 15, Dublin 16, Dublin 17, Dublin 18, Dublin 20, Dublin 22, Dublin 24 and Dublin City Centre. We also cover North and South County Dublin such as Howth, Malahide, Blackrock, Dun Laoghaire, Shankhill and Monkstown. We have different teams of electricians around Dublin, so we are never too far away in an emergency. Give us a call when you are in need! 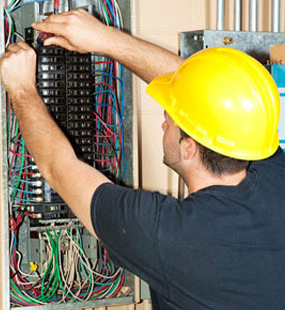 Do you have difficulties in finding cheap and reliable electricians in Dublin? 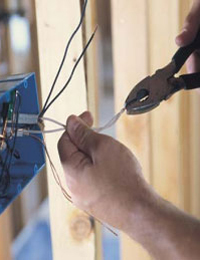 At Dublin Electrician we always give written quotes and can give you beforehand a price for our services. We do this so you may avoid any unnecessary bad surprises and be hit by an overpriced bill! Then, our professional team of electricians will make sure that you receive high-standard electrical services with great care and determination. It is for these reasons that Dublin Electrician have been the leading Electrician Company in all Dublin since 1989. We strive on positive feedback and referrals, which is why we have grown to become one of the largest electricians companies in Dublin City and County. Electrician Dublin cover all Dublin City Centre, North Dublin and South Dublin. 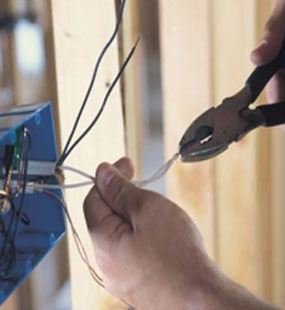 Electrician Dublin cover all types of electrical work and no job is too big or too small. Electrician Dublin are available 24 Hours so feel free to call us on 087 9357929 anytime. We are fully insured tradesmen guaranteeing the work will be done by qualified electricians with no compromise on safety or quality. Copyright © 2015 Electrician Dublin. All Rights Reserved. Powered by: Farhan Khan.